More on Company A and Company B at a later date, as my team often likes to remind me: “Vlad has never met a dollar he didn’t like” and we now have the resources and level of success that is making it possible for us to work with our partners and help almost everyone get to that next level. I’ll be present for the events in bold. I am also going to be around the ConnectWise conference which we are sponsoring, however, due to the proximity of the event to my wife’s due date, I will not be in the booth. If you’d like to meet, please contact Anthony @ OwnWebNow and let’s set something up that week. Work, work, work.. and the luckiest person in the world to have so much of it! Now outside of work.. wow. I’m in London. The last time I was here I didn’t quite appreciate the history nor did I understand the significance of the stuff around me. On Monday evening I went down for a stroll around Piccadilly Circus, Trafalgar Square and in what should probably trademark as “Look! It’s right there!!! 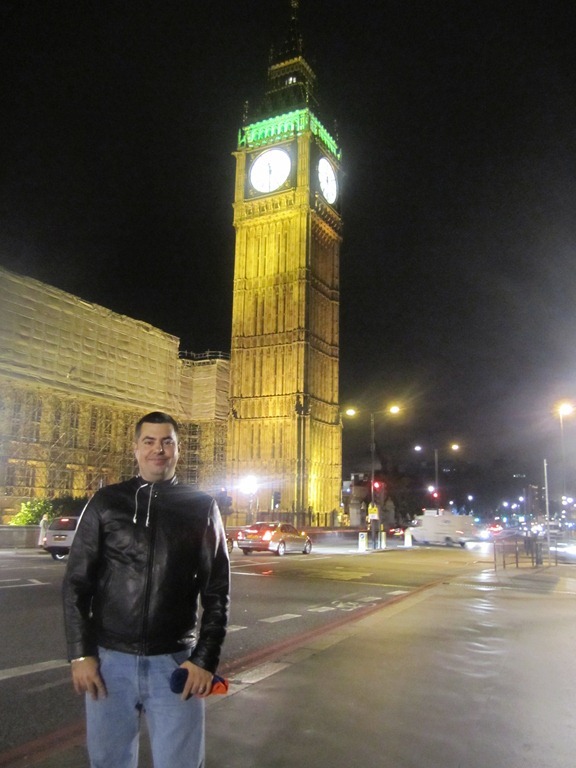 I can walk to it!” – Big Ben, London Bridge, London Eye and the palace. Let’s just say that I noticed the difference in temperature between an afternoon in Florida and 2AM in London the next day. London at night is something to see. Leicester Square as well. 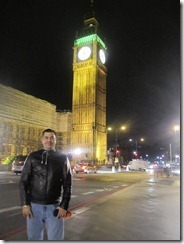 Yesterday I went sight seeing with a friend from our long time UK business partner ReadyCrest, Ltd, Paul Bonathan. London Eye, “Proper British Breakfast” (it’s like an American breakfast, just deep fried), Tower of London, British Museum, walking from the British Museum to St. Pancras station, trip to a “proper” pub in Kent and my first Indian dinner, ever. Also my first 14% alcohol beer ever. Those of you that know me and my alcohol tolerance can probably imagine the mood I was in. The British Museum and Tower Hill are honestly day trips at best. I wish I had an entire week to spend around London but it’s back to work today. I’m sponsoring/speaking at the CompTIA EMEA event and they seem to have put together a great show. I look forward to meeting so many of my UK friends that I’ve worked with for years but never had a chance to meet in person. If you’re here, or expect to be around, drop me an email – we’re likely going out tonight and we can always use more company. As much fun as it is to make so much money in this business / industry, it’s far more fun to spend it on good times. Which I’m extremely happy to report, London seems a great place to do it.